How to start a taxi business: Well, it’s the most important concern before indulging into taxi business. Lets explain how to start a taxi business through an example of Uber. From a customer’s perspective, Uber tends to charge much lower rates than a traditional taxi or other public transports. It is easier to get an Uber taxi as compared to a normal taxi service anytime anywhere. Uber connects with your driver. You just need to request pick up and the cab will arrive at your location in few minutes. Being a loyal customer, you also get discount coupons on your next rides. Due to all these benefits, Uber is famous all over the world where Kenya is no exception. To begin with, a taxi business can be started with a few number of cars and drivers. As you begin to profit, the business can be expanded gradually. But before venturing into a taxi business, it is essential to know about this industry. You need to research about your competitors in the market, the area you will target in beginning and needs of people. A taxi business is a potentially profitable investment where you can earn hundreds of shillings in a single night. You can decide whether to drive a cab and make some money or become manager and hire drivers to run cab for you. You can run a commercial taxi business to earn profit in a long run. But before you invest into Uber taxi business in Kenya, there are a couple of requirements which you need to fulfill. To qualify for Uber, you need to make sure that you have at least 4-door sedan or minivan with Model Year 2013 or newer in a very good condition. The cars should not have any commercial branding on them. The preferred color for Uber Taxis should be black, white and grey. The cars to be used as taxis should have well maintained interior and exterior. The models made before 2013 are inspected by Uber motor assessors for quality, driving condition as well as cleanliness. If approved, only then these models can be used for taxi service. Make sure that you will be hiring professional drivers with the necessary license to work and drive your taxi cabs. Also, you must provide your drivers with the necessary insurance. Download the Uber Partner Application via Google Play Store. Install the application on your device and create a new profile on Uber Partners. Fill in the details and create your profile. 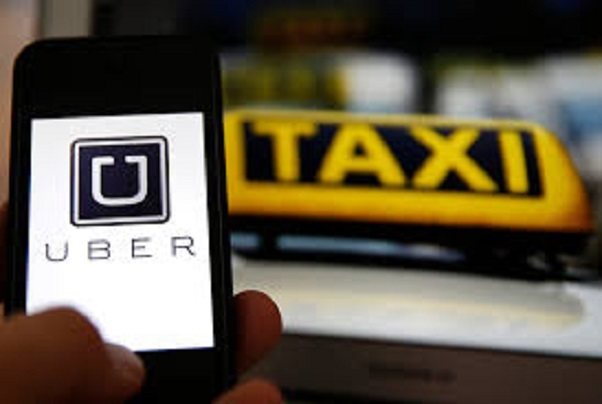 Now add details about your company as well as the vehicle to be used as Uber Taxi. Now you would require to upload a few documents. Once you upload your PrDP documents, you will be investigated for criminal background checks. In other words, you will need a certification for good conduct. You can also apply for Police Certificate Of Good Conduct Online. After getting Good Conduct Certificate, you will receive an email invite to complete your driving test and screening session. How to start a taxi business: Well, basically let’s start with Uber. Uber is the fastest growing taxi service that brought a digital disruption to the traditional taxi services. It’s just like other online services that is building connection between taxi drivers and customers to move from one place to another. Getting a taxi anywhere anytime has gone convenient with this digital taxi-hailing service. People who need a taxi can simply book it on their devices by logging into their Uber account. Entering the pickup can help to bring the nearest available driver to assist you. Simply sending the request to book a ride. See, how the process has gone simpler and easier with an online service. While partnering with Uber, it will take 25 percent you will make and rest of 75 percent is yours. Thus, the more trips you take, more money you make.